After I attended Accuray’s (ARAY) annual shareholder meeting, I had a chance to tour its Sunnyvale campus, where I learned more about CyberKnife. 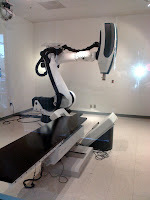 CyberKnife is a radiosurgery tool that attacks and destroys cancerous tumor cells using highly precise radiation beams. CyberKnife is much less invasive than “scalpel” surgery. Its high accuracy (hence, the name Accuray) allows patients to minimize exposing their healthy organs and body parts to radiation. I rarely feel optimistic after shareholder meetings during this Great Recession, but Accuray gives me hope not only for its own future, but the future of medicine. Accuray’s annual meeting took place in a well-known law firm in Palo Alto. Shareholders were offered orange juice, coffee, various fruits, bagels, and pastries. About 25 people attended the meeting, including founder Dr. John Adler. Prior to the meeting, Dr. Adler seemed well received by most Board members, who engaged him in friendly conversation. President and CEO Euan Thomson opened the meeting by introducing the Board of Directors. There was one Asian and one female on the Board. Now, before I tell you about Dr. Adler’s comments, it is important to note that Dr. Adler left Accuray and now works for a competitor, Varian (VAR). Dr. Adler said that he had heard people speak of their “disgust” at the way they had been treated by Accuray’s management. He said that Accuray is a “reflection of me and Marilyn [his wife], who named this company,” and he was “dismayed by [Accuray's] deteriorating business reputation.” Dr. Adler did not mention specific incidents, but lamented what he felt was a general lack of passion on the part of the executive team. You might wonder how Dr. Adler, a genius who has advanced radiosurgery by light years, and CEO Thomson, an accomplished Medical Physicist with a Ph.D. in radiation physics, can both mention passion and yet reach different conclusions about its levels at Accuray. After spending time with both men, my theory is that the difference is cultural. Dr. Adler is a very direct, charismatic man who commands attention wherever he goes; in contrast, CEO Thomson is British and more low-key. While it is hard to get a word in edgewise when Dr. Adler speaks, CEO Thomson encourages others to speak when he sees they have something to say. In short, both men have different communication styles and come from different cultural backgrounds. CEO Thomson and Dr. Adler are clearly passionate, competent, and knowledgeable, but their personalities could not be more different. Having lived in England and the States, I can see the cultural differences very clearly, but Americans who've never crossed the Atlantic must have also heard of the famous British stiff upper lip, where Brits are expected to handle adversity and pain with stoicism. Such stoicism--generally speaking--tends to promote a culture of outwardly reserved emotions. (Side note: when I was jogging in Hove/Sussex as a teenager, I remember waving at various people and saying hello, only to have all the Brits in my path quite shocked that I was a) crazy enough to be exercising in the cold weather; and b) greeting strangers along the way. No one waved back or said hello.) Some Americans may not know it, but we are some of the friendliest people in the world. Unlike Europe, our ability to avoid years of war on home soil has allowed our culture to be generally more open and friendly. Yet, it is not surprising that Dr. Adler would see others as less passionate–indeed, almost anyone would appear less passionate when compared to him. Within the field of medicine, Dr. Adler is the closest thing to a rock star. When I posted on my Facebook wall about the CyberKnife, I almost immediately got the following comment: “I actually had the CyberKnife done on a tumor by Dr. Adler himself (the inventor). It is amazing, sci-fi, and scary at the same time. He is AWESOME!” How many doctors can garner such adoring fans? A few days after the annual meeting, CEO Thomson was kind enough to take me on a tour of the company and, along with Dr. Omar Dawood, teach me more about CyberKnife. Before I tell you about my introduction to CyberKnife, I will summarize a meeting I had with Accuray’s general counsel, Darren Milliken. I have never heard anyone at Accuray speak negatively about Dr. Adler, but Accuray continues to receive major criticism from Dr. and Mrs. Adler. I asked the company’s lawyer, Darren Milliken, to discuss his thoughts on Dr. Adler’s criticism of Accuray. Mr. Milliken said that Dr. Adler had left Accuray to pursue other interests. 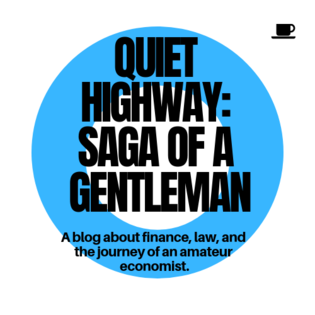 Moreover, under SEC and federal rules, when a director resigns, a company and director must disclose any disagreement on issues surrounding the director’s departure. Mr. Milliken said that Dr. Adler not only failed to raise any issues of disagreement with the company’s 8K filing relating to his departure, he actually approved of the 8K in an email to Mr. Milliken. According to Mr. Milliken, “If there was a disagreement with Adler, we would have filed an 8K [as the law requires].” No 8K was filed relating to any disagreement with Dr. Adler by Accuray. Mr. Milliken also informed me that Accuray’s corporate governance committee and its Board of Directors recommended that Dr. Adler remain with Accuray as a Director. In fact, according to Mr. Milliken, Dr. Adler stood for election as a Director–even though he could have opted out–only to resign shortly after he was elected. 1. According to Accuray, competitors’ products rely either on radiation therapy or a Gantry-based system, which is not as focused or accurate as Accuray’s CyberKnife. For example, let’s say you want to treat a cancerous tumor in your prostate. Well, if your body parts around the prostate are still reasonably healthy, you probably want to minimize the level of radiation you receive. According to Accuray, the CyberKnife is able to pinpoint the location of the tumor and deliver hundreds of quick, highly-concentrated doses of radiation directly to the tumor itself--leaving non-infected parts alone. According to Accuray, other products are not able to move around to the same extent as the CyberKnife; as a result, the company believes that CyberKnife is more accurate than the competition, which minimizes the risk of collateral damage to a patient. 2. 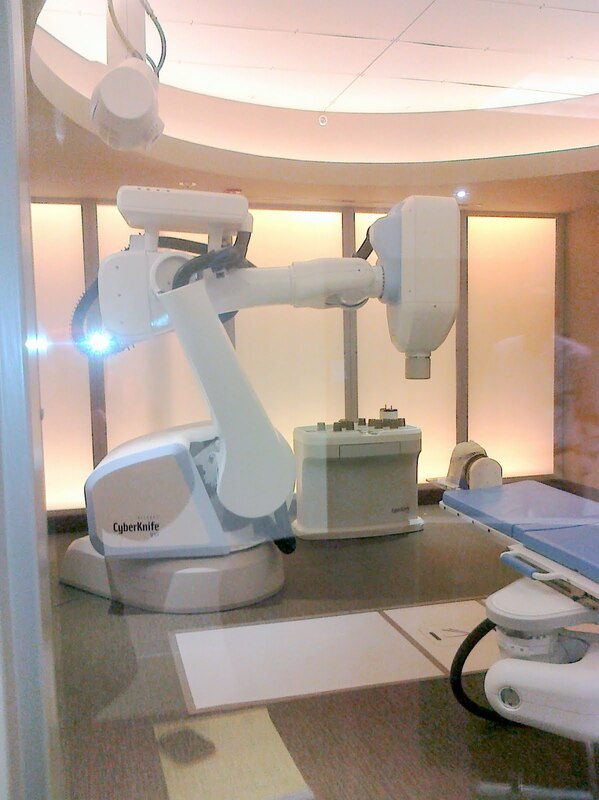 What’s amazing about the CyberKnife is that its software is able to locate the tumor automatically. Think about that–there's no one using any levers or buttons to sync up data–the CyberKnife takes the pictures, finds the tumor, and attacks it automatically. (I am still enthralled about the idea that a machine can do that without major and constant human intervention.) Because the process is mostly automated, Accuray believes that using the CyberKnife tends to reduce human error. I will leave you with an interesting anecdote. The TSA has received a lot of flak for its handling of travelers who “opt out” of its backscatter radiation body scanners. I asked CEO Thomson and Dr. Dawood what they thought about the risk of radiation from the airport full body scanners. Both doctors indicated that there is currently not enough information to make a valid judgment about the safety of the full body scanners. Although we receive radiation in small doses almost every single day, much of it is “non-ionizing.” A cell phone, for example, has non-ionizing radiation; however, the TSA scanners use ionizing radiation. Ionizing radiation can alter a person’s cells to the point where the cells cannot recover. In contrast, non-ionizing radiation will jumble or vibrate your cells but will not permanently alter them. More here. In case you're wondering, I'll be opting out when I travel. Disclosure: I currently own about 400 shares of Accuray (ARAY); however, my holdings may change at any time. Other than ARAY, I do not own individual shares in the other companies mentioned in this article. I have emailed Dr. Adler and Mrs. Adler several times and have done an interview with Dr. Adler in the past. The 2010 meeting was the first time I met Dr. Adler in person. I have a tremendous amount of respect for Dr. Adler, and I feel lucky to know him. Is Netflix Ignoring the Hearing Impaired? Debate: What is Military Adventurism? High Unemployment Leads to Pogroms? Do Progressives Believe They are God-Like?